Today on a 5-3 vote, the United States Supreme Court struck down key parts of HB 2, the Texas abortion facility safety law. 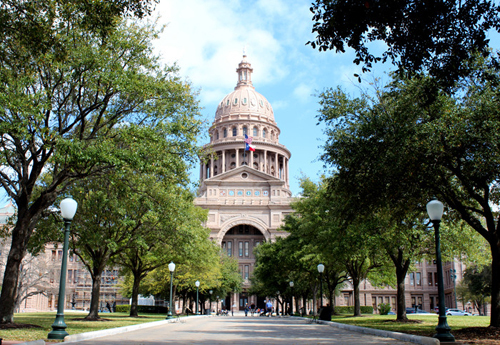 This means that State of Texas may not require physicians performing abortions to have privileges at local hospitals and the State may not require that abortion facilities meet the safety standards of ambulatory surgical centers. However, HB 2's ban on abortions after the fifth month and the requirement that drug-induced abortions be performed according to FDA regulations will remain in effect. We are very disappointed with the Supreme Court's decision. The State of Texas will be unable to fully implement HB 2's common sense regulations to protect the health and safety of women at substandard abortion facilities. Our work to protect mothers and unborn babies from abortion will continue. We will scrutinize this decision, hostile as it is to reasonable safety regulations, to find ways to increase abortion facility safety regulations as much as possible. Even if HB 2 were fully implemented, abortion would remain readily available in Texas. Nine enormous abortion facilities that meet the HB 2 safety standards will continue to operate in the major metropolitan areas -- Austin, Dallas, Fort Worth, Houston, and San Antonio -- as well as a free standing abortion facility in McAllen and abortion facilities in New Mexico near to El Paso. The difference is that nine substandard facilities, all located near to these, will continue to operate. We will continue to promote compassionate alternatives to abortion, including adoption, so that no woman seeks abortion because she feels she has no alternative. In Whole Woman's Health v. Hellerstedt, several abortion providers challenged two safety provisions of HB 2, a bill the Texas Legislature passed in 2013 by overwhelming margins. While dismissed by abortion providers in Texas as unnecessary, the state's safety inspection reports of several abortion facilities run by the lead plaintiff, Whole Woman's Health, show numerous serious violations of current law that endanger the health and safety of tens of thousands every year, including the repeated failure to properly sterilize surgical instruments used from woman to woman. 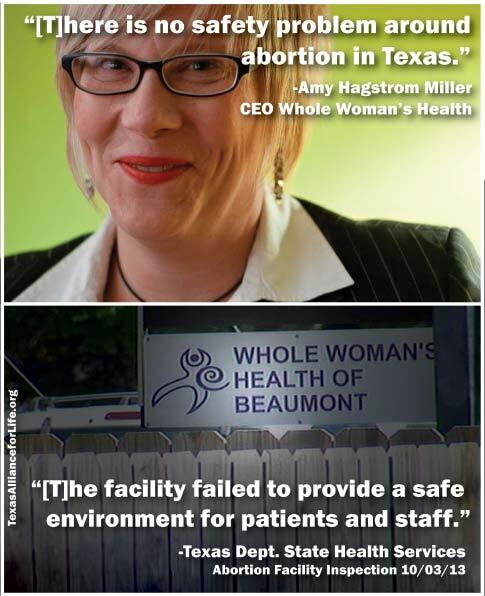 Texas Alliance for Life's staff attorney summarized a lengthy list of health and safety violations at abortion facilities operated by Whole Woman's Health in this article, "Whole Woman's Health Fights HB 2's Increased Abortion Safety Standards while Violating Current Safety Laws." 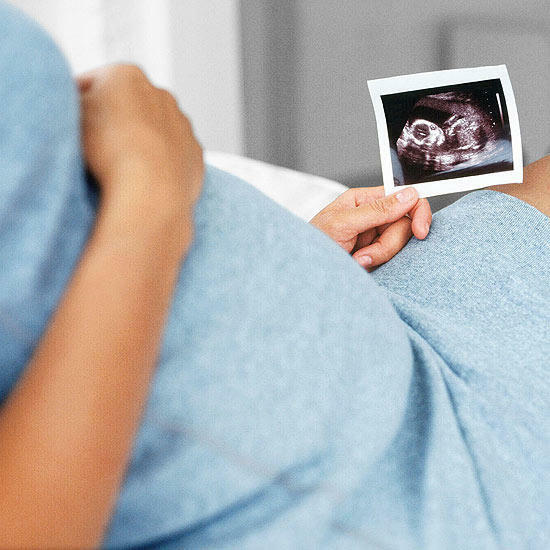 Even under the best of circumstances, abortion poses significant risks. A 2009 Finish study, "Immediate Complications After Medical Compared With Surgical Termination of Pregnancy," published in Obstetrics and Gynecology showed the complication rate from surgical abortions is 5 percent and is 20 percent from drug-induced abortions using RU-486 when abortions are performed in hospitals. The study did not consider abortions performed in free-standing abortion facilities, which might have even higher complication rates. The two challenged provisions of HB 2 are intended to raise the safety standards at abortion facilities. The first provision requires physicians who perform abortions to have admitting privileges at a local hospital. In the event of a serious complication that requires the woman to be rushed to an emergency room, the physician should be able to follow his or her patient and continue treatment at the hospital. Without privileges, the physician would essentially abandon the patient. The second provision increases safety standards at licensed abortion facilities to the level of the 450 outpatient surgery centers (Ambulatory Surgical Centers or ASCs) in Texas, which perform the same or similar procedures. Patients can expect that common outpatient procedures like colonoscopy or cataract removal will be performed in an ASC. Even dilation and curettage (D&C) following a miscarriage will likely be performed in a hospital or ASC operating room. D&C is by far the most common method for elective abortion performed in the substandard abortion facilities. Worked closely with HB 2's author Rep. Jodie Laubenberg (R-Parker) and sponsor then-Sen. Glenn Hegar (now State Comptroller) and their staffs as well as the offices of the Governor, Lt. Governor, and other members' offices to draft HB 2. 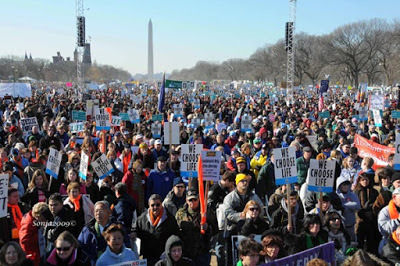 Helped to direct the massive grassroots campaign that involved thousands of pro-life Texans who lobbied for the bill. During the week before the final passage in the Senate, Texas Alliance for Life's Facebook page reached nearly 1,000,000 visitors. Filed an amicus curiae ("friend-of-the-court") brief along with University Faculty for Life in the Supreme Court. Written by the former Texas Solicitor General, Jonathan Mitchell, the amicus brief is the only one referenced by the Texas Attorney General in the State's brief. The brief decisively shows that at least 10 abortion facility closures in the last few years had nothing to do with HB 2, contrary to claims made by the Plaintiffs. 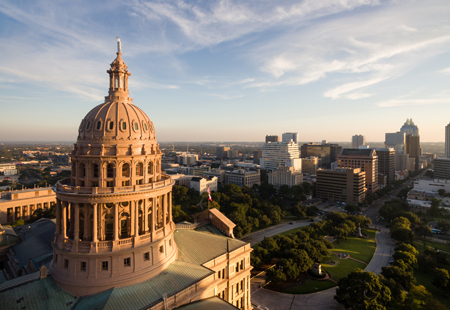 Texas Alliance for Life's staff provided vast amounts of information regarding the legislative debate on HB 2 and abortion facility safety violations to other parties who filed amicus briefs.